Structural and Guarding Applications - Allied Automation, Inc. The demands for safety devices for the protection of people and machines have never be as tough as they are today. Production requirements that change at an increasingly rapid rate, as well as constant enlargements and adaptations require both flexible and time-saving safety systems. There is nothing as straightforward and as safe as the Robotunits safety fence system: completely prefabricated safety fence elements are ordered and can be easily and quickly assembled by just one person. 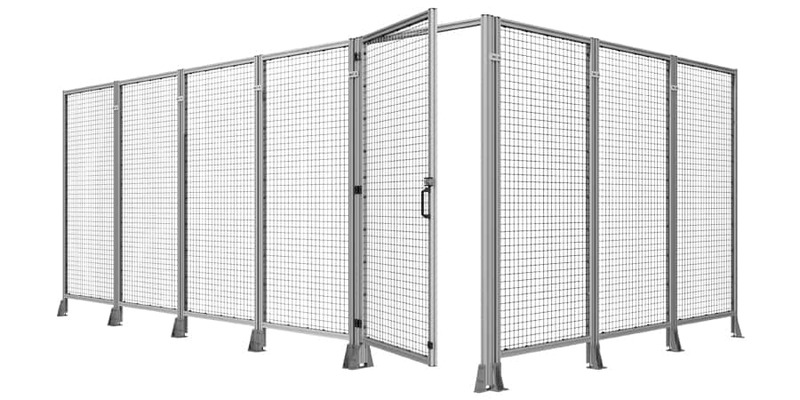 The Basic System is the “classic“ among the Robotunits Safety Fence Systems. Simple in application and cheap in price. Ideal for standard applications in machine building and manufacturing automation. The allround system offers high flexibility. The single panels are simply positioned between the pre-assembled posts, and are assembled as required. The panels can also be easily removed and refitted. This is ideal for creating large openings, for example; when accessibility is required whilst swapping out a machine or during an inspection. Whether you require wire mesh or polycarbonate, with or without a cutout, glare or splash guards, the Robotunits Safety Fence System offers the right material for your application. All parts of the Robotunits Safety Fence System are compatible with the entire Robotunits Modular Automation System. It all began with special purpose machine building. After many years of experience with the extrusions of various manufacturers we decided to develop our own Extrusion Technology. This was to form the basis of our own complete Modular Automation System. The result is maximum design and assembly possibilities with minimal time investment. Robotunits offers a system that will meet your highest expectations. 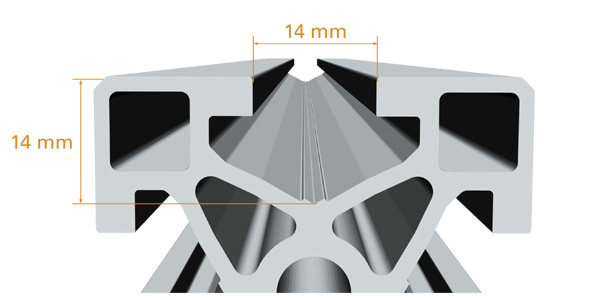 The key element of the Modular Automation System is a unique extrusion technology, available in 40mm and 50mm size systems, which are fully compatible with each other and all other components. They utilize one slot size that allows new dimensions in design and assembly speed. A few years ago connecting without drilling, milling or welding was almost unthinkable. 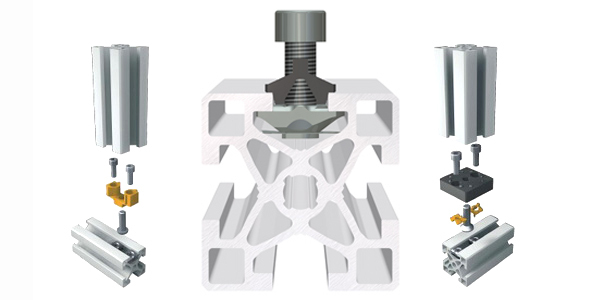 The Robotunits Fastening Technology is unique worldwide and is absolutely play-free, accurate and centrally aligned to achieve a connection strength that is comparable to welded connections. Important benefits of the smart extrusion technology: Quick and flexible solutions that allow later modifications. Through standardization of components, the Robotunits technology offers big savings, from design to assembly.